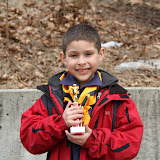 Cub Scout Pack 722 Wakefield Massachusetts: Pinewood Derby! Everyone had a blast at the 2013 Pinewood Derby. Special thanks to Mr. Bardol, Mr. Bengtson, Mr. Schools and everyone that made our annual race so much fun. We can't wait til next year! Until then, take a look at some pictures from our day, courtesy of George Smith. Pinewood Derby was a blast!